The Summer Biking Spree organized by the Metro Parks, Serving Summit County, has concluded. The drawing for the grand prize, a Raleigh Venture 3.0 bicycle was held at the Century Cycles store in Peninsula on Oct. 16. The lucky winner was Greg Hinton from Stow, who picked up his bicycle today. Congratulations, Greg! 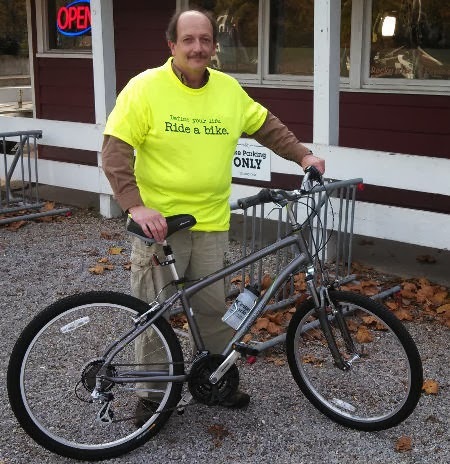 Here's to many more miles on the Metro Parks, Serving Summit County bike trails!